I recently attended a quilting retreat in the mountains of Montana. I love this retreat and setting. It's located at the Upper Canyon Outfitters lodge and cabins. They are such gracious hosts - it's a family affair. Donna Trischman, of Timelessquilts, is our quilt hostess. I'm packed & ready to go.....including my mud boots....it's been raining in the mountains. I love the variety of mud boots that showed up. Such a welcoming sight - the lodge where we all gather for our meals. This is the Upper Canyon Outfitters office - lots of pups hanging around....love it! I love the antler hanging over the dining hall door. We get to eat with the family and the ranch hands - it's always fixed up so nice for meals..
Mmmm - pork, green salad with huckleberry vinaigrette, baby broccoli, and mashed sweet potatoes. It's the best treat ever to have someone else cook for you! Here's Donna - the owner of the ranch, pouring something sassy from Willey's Distillery on Donna's (our quilt hostess) brownies. Warm brownies with ice cream.....the food, to me, is just as important as the sewing! OK - now on to the projects. Donna offers classes and a mystery project. This is one of the classes - "Sugar Cookies". It's a darling quilt - so I bought a kit! My friend, Carol, had one finished before the retreat - it was such fun to quilt - some swirls, straight lines and feathers. Bonnie's blocks - love the autumn colors. These pretty fabrics were incorporated into Dianne's trellis quilt top. This was Dawn's first retreat - I think she's hooked! Such nice ladies - that's one more thing I love about retreats - you get to meet new friends. Chain piecing - oh, yeah! Here are my "parts" to the mystery quilt. I am finally using some of my Kaffe Fasset prints. My first block - I love it! Mystery revealed - it's a Fig Tree pattern. I also worked on these cute basket blocks. 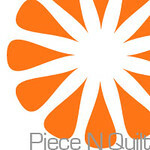 blog, "Diary of a Quilter." 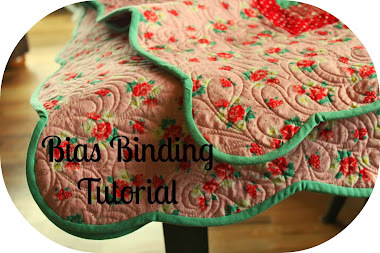 Here is the tutorial from her blog. I also worked on these funky tree blocks. They also came from Amy's blog here. 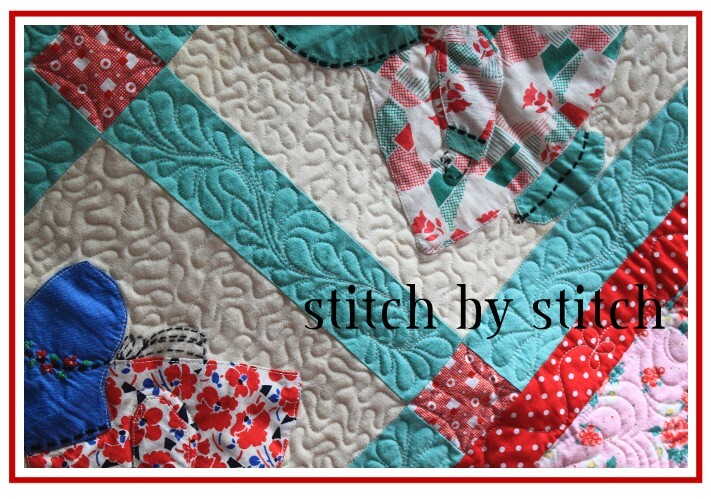 Thank you, Amy, for such cute quilt block tutorials. Carol was busy, busy creating these amazing blocks. I can't wait to see them in a quilt. Mr. Elk watched over us the entire time. Thank you, Upper Canyon Outfitters, for letting us soak in your surroundings and hospitality. Here's the link to their beautiful ranch. I know just how you feel, Mr. Pup. I'm all relaxed and ready to tackle the world again. This looks exactly like the kind of retreat setting I would like! You would - maybe you can find your way to Montana next spring and join us! So fun to get away!! Love your baskets! I only wanted to work on my pretty baskets - but there were other quilt tops waiting for me, too. But, I love how they're turning out - thanks to your fabrics! Perfect in every way! Lots of great projects, but I especially like Carol's blocks. I love retreats - I get so much accomplished! Yes, Carol's blocks are amazing! Love the retreat setting - one of these days I'm going to sign up! You worked on so many different projects and even used some Kaffe Fasset. I believe one of the first quilts you quilted for me was all KF. The Sea Anemone is an awesome pattern, very clever and I LOVE your funky trees (aren't they SO fun)!! Retreats are the best! I'm loving my KF Fig Tree blocks - It's about time I started using those fabrics. You inspired me to make the funky trees - yes, they're a blast! It looks like you had an amazing time. I love the sugar cookie quilt. I would love to made one. Such an amazing time - every time I attend! The Sugar Cookie quilt is an easy, fun quilt to make.